Are You Looking For The Most Amazing Russian Dog Breeds? Then You’ve Come To The Right Place! As a country, Russia is so big, broad, and vast. Some say that when people in West Russia are having breakfast, the people in East Russia are having dinner! It seems only right that Russia is home to a particularly diverse and intriguing number of dog breeds. The traditional “Russian breed” is a dog that has been born and bred to work, such as shepherd dogs, laika (barking/guarding) dogs, hunting (gun) dogs, and police dogs. But as you will notice in this article, there are a few wonderful “pet” lap dogs that have been added into the mix as well. Read on to learn more about the amazing and wonderful variety of canine companions that can trace their lineage back to Russia! The Siberian Samoyed, alternately known as the Siberian Bjelkier, the “Samoyed” or simply “Smiling Sammy,” proudly represents the Russian hunting dog breeds group with its wonderful, positive, vibrant, and enthusiastic temperament. This big Russian dog breed has been bred to hunt, pull sleds, herd reindeer, and assist their human carers in nearly every phase of life together. These snow dogs have since adapted to handle warmer and even tropical climates. But it is still best to bring them indoors when it gets really hot. 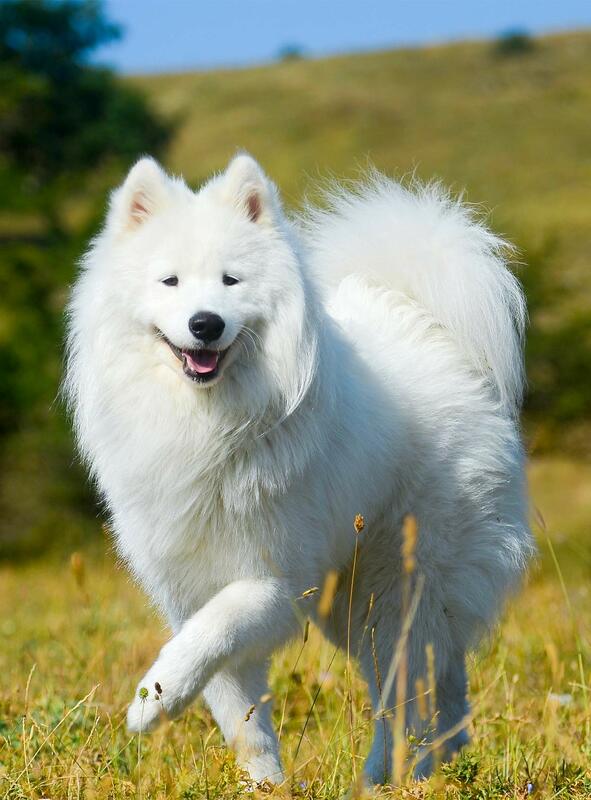 Currently, the Siberian Samoyed is one of the most popular of all the medium Russian dog breeds. It ranks 65 out of 192 purebred American Kennel Club (AKC) dog breeds. This dog stands 19 to 23.5 inches tall and weighs between 35 and 65 pounds. The Samoyed can live 12 to 14 years. Worth noting: These dogs are bred to run and run and run! It goes without saying, a strong escape-proof fence and a long leash during walks are musts. This may not be the right dog for families with other vulnerable family pets or very young children. This is due to the Samoyed’s strong herding behaviors. According to the Canine Health Information Center (CHIC), breeders should ensure their Samoyed parent dogs are tested and cleared of eye issues, cardiac issues, hip and elbow dysplasia, retinal dysplasia, and progressive retinal atrophy (PRA). Samoyeds are also prone to bloat, a potentially life-threatening condition that can’t be tested for in advance. However, there is a preventative surgery you may want to discuss with your dog’s veterinarian. 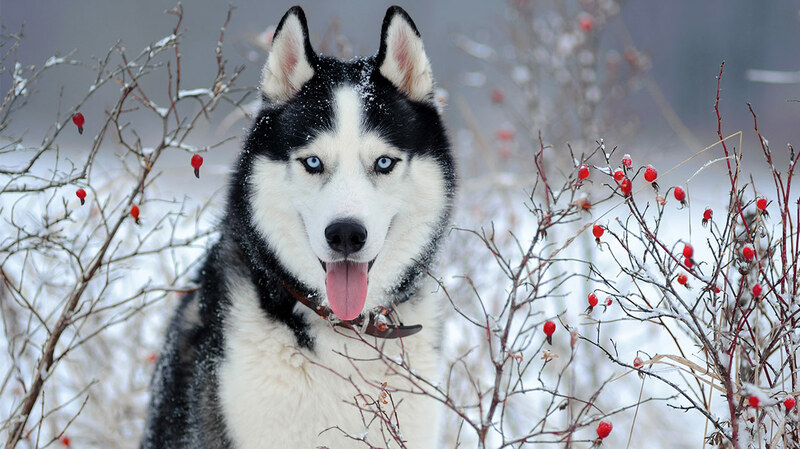 The Siberian Husky is perhaps the best known of the medium-sized Russian dog breeds! The lineage dates back a whopping 4,000 years to the Chukchi people and their sled dogs. Today, the Siberian Husky still competes in sled races and still adores human company. This dog has been so socialized to people and is so trustworthy to its owners that in past decades, it was not uncommon for tribal adults to leave their children at home in the care of adult Siberian Husky dogs while they were out hunting, gathering and tending to other family business! Currently, the Siberian Husky ranks 12 out of 192 purebred AKC dog breeds. This dog stands 20 to 23.5 inches tall and weighs between 35 and 60 pounds. 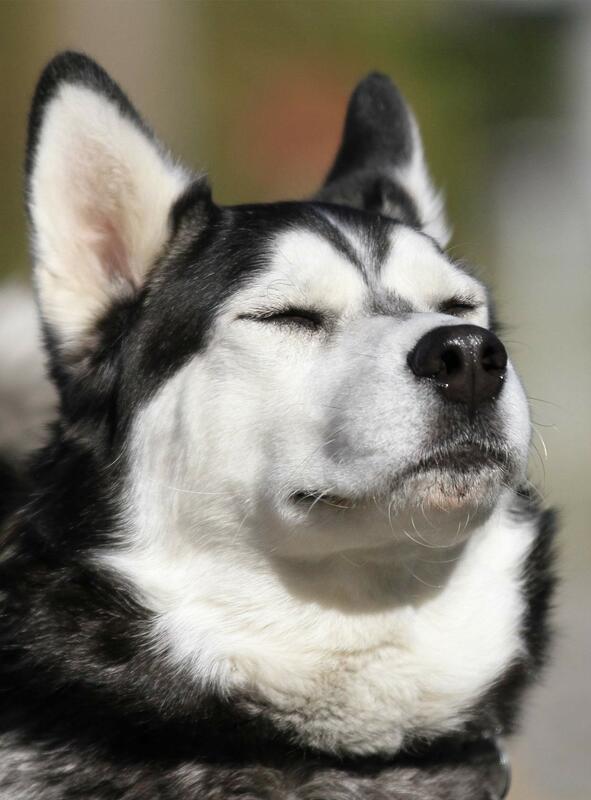 The Siberian Husky can live 12 to 14 years. According to the CHIC, breeders should ensure their Siberian Husky parent dogs are tested and cleared of eye issues and hip dysplasia. And these dogs are really fast! In fact, everything about the Russian Borzoi seems to be made to run, from its long, thin legs to its body and its face! The Russian Borzoi, or Russian Wolfhound, is a member of the Russian hound breeds group. 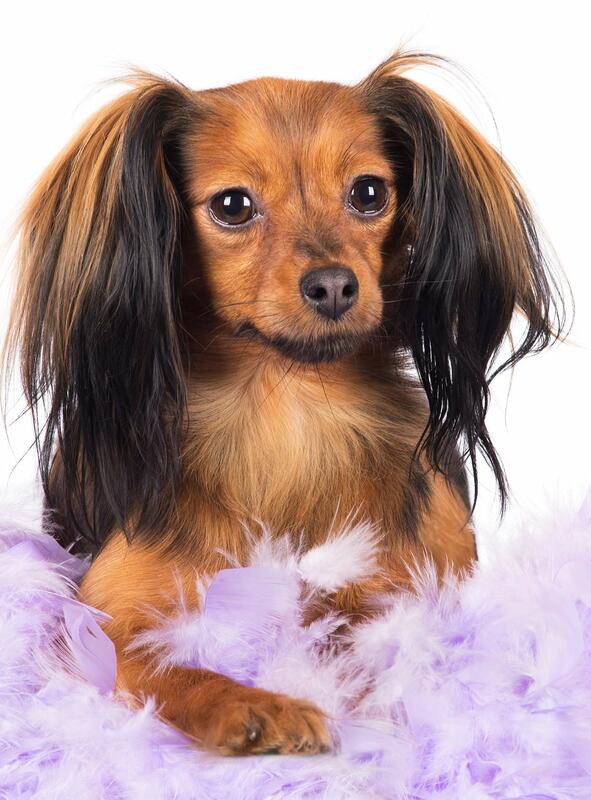 This dog currently ranks 98 out of 192 purebred AKC dog breeds. The Russian Borzoi stands 26 to 28 inches tall and weighs 60 to 105 pounds. This dog can live 9 to 14 years. According to the CHIC, breeders should ensure their Borzoi parent dogs are tested and cleared of eye issues, hip and elbow dysplasia, cardiac issues, autoimmune thyroiditis, and degenerative myelopathy. 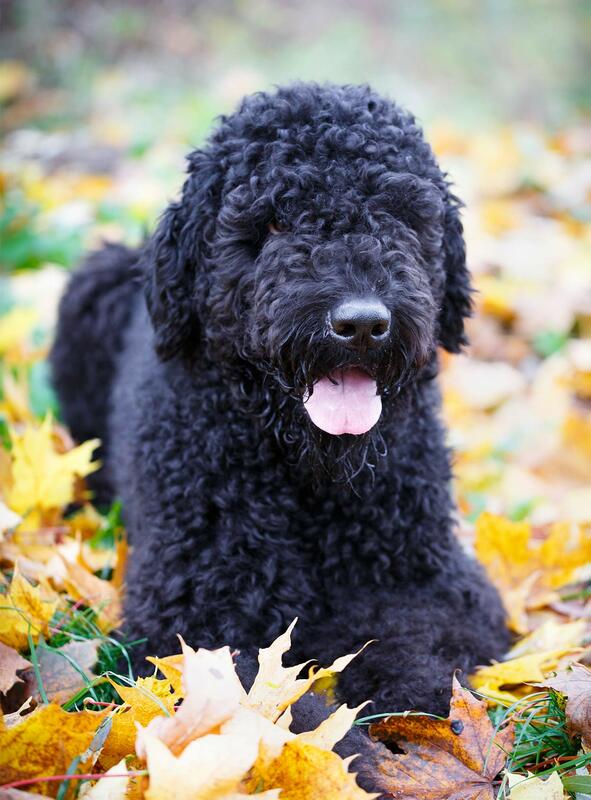 The Black Russian Terrier (or Russian Black Terrier) was deliberately bred from crossing the Newfoundland, Airedale, Rottweiler, and Giant Schnauzer breeds. The project began in the 1930s inside of a military-run kennel called Red Star that focused on raising and training Russian guard dog breeds. Today the Black Russian Terrier is a popular family guard dog, as well as a working guard dog for the military and police organizations. This dog stands 25 to 28 inches tall and can weigh anywhere from 80 to 150 pounds! This dog can live 10 to 11 years. According to the CHIC, breeders should ensure their Russian Black Terrier parent dogs are tested and cleared of hip and elbow dysplasia, eye issues, cardiac issues, juvenile laryngeal paralysis, and polyneuropathy. Hyperuricosuria is another issue that their breeders should have their dogs health tested for. The Caucasian Shepherd Dog’s lineage may reach back at least 2,500 years. The Caucasian Shepherd and the Central Asian Shepherd actually share a lineage. Although as time went on, they were increasingly bred to work and live in different environmental conditions. This breed actually gets its name from the mountain range near its modern homeland, the Caucasus Mountains. The Caucasian Shepherd Dog, also called the Russian Bear Dog or the Russian Ovcharka, stands up to 30 inches tall and weighs at least 110 pounds. This dog can live up to 12 years. Worth noting: Due to their heritage as single-owner shepherd (herding) dogs, these dogs tend to bond quite closely with just one family member. This can mean that is the only person who can control the dog. These dogs also won’t tolerate being separated from “their” person easily – not even for a short time period! According to the CHIC, breeders should ensure their Caucasian Shepherd parent dogs are tested and cleared of hip and elbow dysplasia, degenerative myelopathy, cardiac issues, eye issues, and patellar luxation. The Central Asian Shepherd, also called the Alabai and the Central Asian Ovcharka, shares part of its early lineage with the Caucasian Shepherd Dog. Both breeds can probably trace their lineage back to the original Tibetan dogs. The two lineages were thought to part ways in the early 20th century since breeders focused on selecting for specific traits ideal for these dogs’ work and living environment in Russia and Central Asia, respectively. The Central Asian Shepherd stands 25.5 to 27.5 inches tall and weighs 88 to 110 pounds. This dog can live 12 to 15 years. 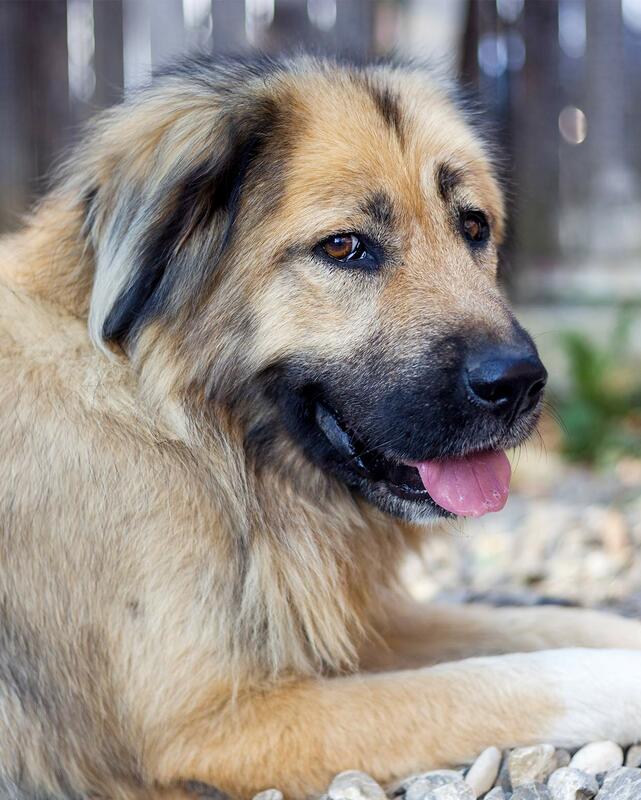 The Central Asian Shepherd has a naturally fearless, proud, and independent temperament. This is a result of their long working lineage, herding livestock and confronting large predators. Worth noting: The Central Asian Shepherd Dog is naturally territorial and can make a very good guard dog. But this dog can be difficult to handle. For this reason, this breed is not considered suitable for an inexperienced dog owner or a family with young children. 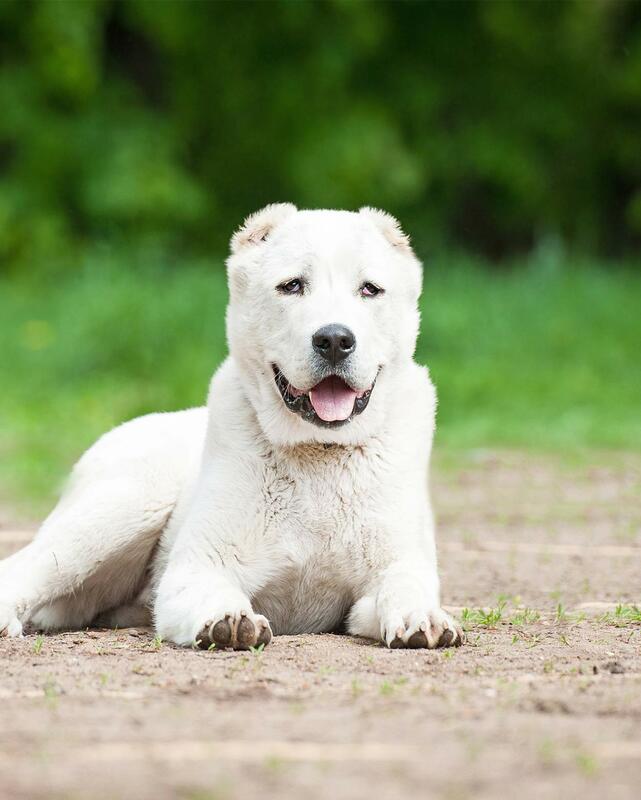 As with many large Russian dog breeds, the Central Asian Shepherd can suffer from hip and elbow dysplasia. Responsible breeders should ensure parent dogs are tested and cleared of any genetic issues. The Karelian Bear Dog hails from a 2,000+ year old lineage. Their descendants include Russian spitz dogs (dogs with short fur, short muzzles, pointy ears, and curly tails) as well as the Siberian Husky. As its name suggests, the Karelian Bear Dog is a wonderful representative of the Russian bear hunting dog breeds. Unfortunately, in a post-war purge, these dogs were decimated after World War II. Dedicated breeders gathered together an initial group of 60 dogs and used them to rebuild the lineage! The Karelian Bear Dog stands 19 to 23.5 inches tall and weighs 44 to 49 pounds. This dog can live 11 to 13 years. Worth noting: These dogs are not generally suitable for families with children or other pets, especially other family dogs. They are hunting dogs with a fearless spirit and the kind of naturally aggressive nature that can bring down big, fierce prey like bears. The main known health issues for these dogs are hip and elbow dysplasia and eye issues. The Eastern European Shepherd, or Russian German Shepherd, is a hybrid dog breed. They were designed to function well in the very harsh and freezing climate of rural Russia. This dog resulted from a cross between the German Shepherd Dog with the Caucasian Shepherd and maybe also laikas (barker/guard dogs). These dogs are quite popular in Russia but are not well known outside the country. They are larger and taller than the traditional, and much more well known, German Shepherd Dog. Although the two breeds still look quite a bit alike. 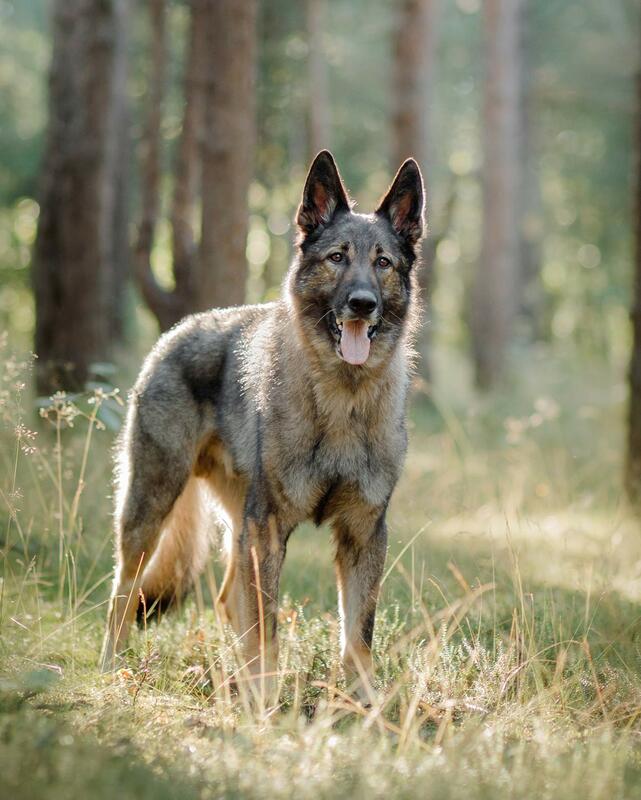 This shared lineage has also made the Eastern European Shepherd one of the best picks for working Russian police dog breeds. Today’s Eastern European Shepherd stands 24 to 28 inches tall and weighs about 75 to 105 pounds. This dog can live 10 to 14 years. These dogs are very intense, loyal, and devoted. However, they need early and constant socialization to tolerate strangers and other dogs without lapsing into “guarding” mode. Worth noting: This is another breed that often bonds closely with just one person, meaning that will be the only person who can control the dog. They are not generally suitable for life with a family with small children or life in small dwellings without yard space. Health issues can include hip and elbow dysplasia, eye issues, degenerative disc disease, and bloat. The Russian Toy Terrier is a Russian toy dog breed that literally has all the best qualities any dog of any size could have. These dogs are loyal, loving, smart, cuddly, snuggly, and also eager to please. They are also really cute, with tiny bodies and huge floppy ears! The Russian Toy Terrier stands 8 to 11 inches tall and weighs up to 6.5 pounds. This dog can live 12 to 14 years. Their coats are short and therefore don’t require much maintenance. Unlike most Russian dog breeds, the Russian Toy Terrier was bred to live with Russian nobles. Their official duties were pretty much to snuggle in their owners’ laps! Even today, these dogs often seem both unaware and unconcerned about their small size. They will not hesitate to ask for more attention if they think they aren’t getting enough. Worth noting: You won’t want to use a standard neck leash on these tiny dogs – they really need a harness to protect their delicate necks and trachea. Additional health issues can include patellar luxation, eye issues, and periodontal disease. The name “Russian Tsvetnaya Bolonka” is quite a tongue-twister. The Bolonka dog breed has always been intended to live in small houses and apartments with human carers. As a particularly cute member of the small Russian dog breeds group, the Bolonka is sweet-tempered, loving, affectionate, snuggly, loyal, and really good with kids. As a bonus, they are also considered a near-hypoallergenic dog breed. The Russian Tsvetnaya Bolonka stands 9 to 10 inches tall and weighs 4.5 to 11 pounds. This dog can live 12 to 16 years. These dogs hail from the Bichon dog line, with their similar playful demeanor and curly, thick fur. Health issues can include patellar luxation, eye issues, cardiac issues, liver shunt, Legg-Calve-Perthes disease, and progressive retinal atrophy (PRA). This jackal/dog hybrid breed is truly one-of-a-kind. There are only 50 or so Sulimov dogs in the world, and every single one of them belongs to Russia’s Aeroflot Airlines! They were bred specifically to work as sniffing dogs, detecting bombs and drugs. The Sulimov dog breed takes its name from its creator, Dr. Klim Sulimov. He bred seven generations of jackal (25%) and Siberian Laika (75%) to create what today is called the Sulimov jackal-dog hybrid breed. All of the dogs are housed on Aeroflot’s private grounds. They must go through a training process before they can be certified to work as sniffing dogs. To date, about 24 of the 50 dogs have passed the certification exam so far. The Russian Spaniel is the newest representative of the Russian hunting dog (gun dog) group. This loyal, energetic, smart, and active dog is equally adept at hunting birds and other small game prey. The first Spaniel, named Dash, came to Russia as a gift. The black Spaniel was given to a knyaz (nobleman) named Nikolai Nikolaevich. 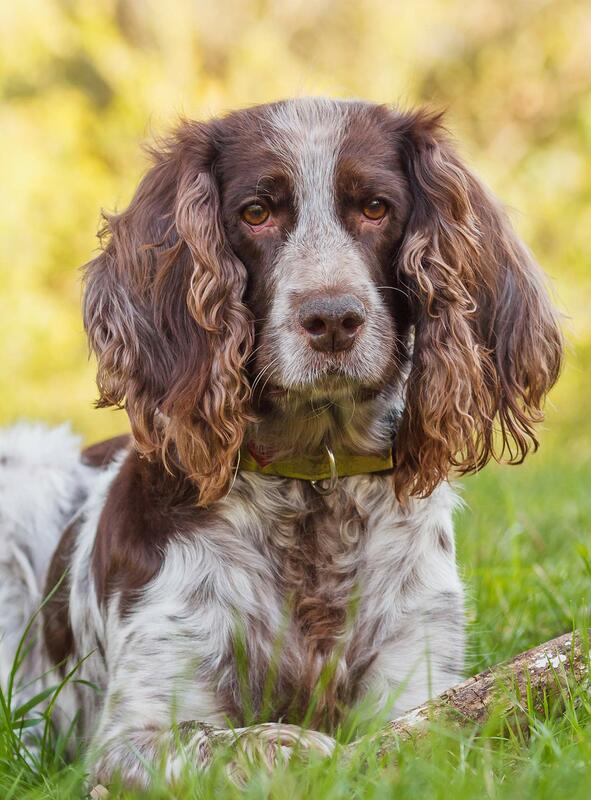 However, spaniels since then have been deliberately bred for certain hunting traits. Therefore, this hunting dog is a natural at flushing and retrieving game in marshlands, grasslands, forests, and everywhere else. The Russian Spaniel today stands 15.5 to 17.5 inches tall and weighs 20 to 35 pounds. This dog can live up to 14 years. Because this breed is relatively new, the official breed club reports that obesity and otitis (ear issues) are the only recognized health issues owners and breeders must watch for. 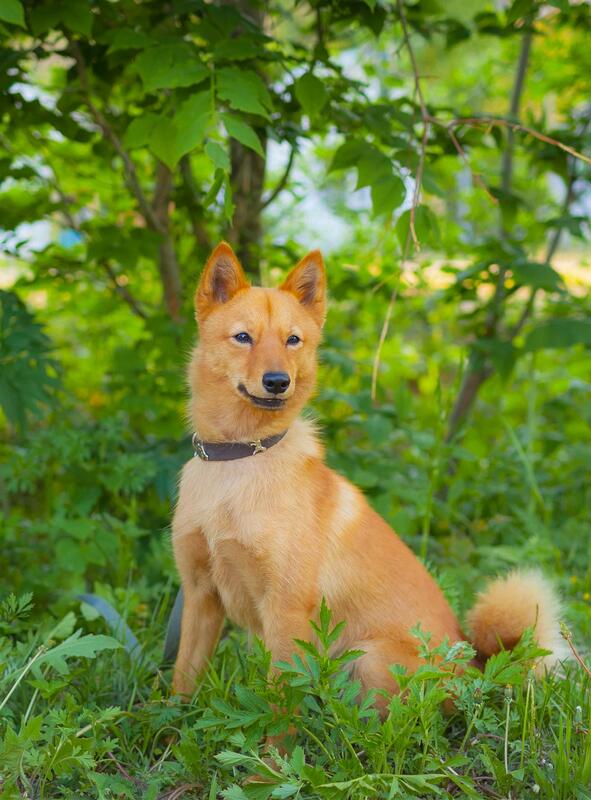 The Yakutian Laika is one of a number of laika (barking/guarding dog) breeds. This dog has an ancient history as a canine member of the Yakute tribal people. These dogs may be the first sled-pulling dogs in the world! Human progress nearly wiped out the Yakutian Laika, due to the decrease in need for sled-pulling dogs. But breeders rallied, and today these happy, energetic, people-pleasing canine companions are becoming more popular outside of Russia as well. 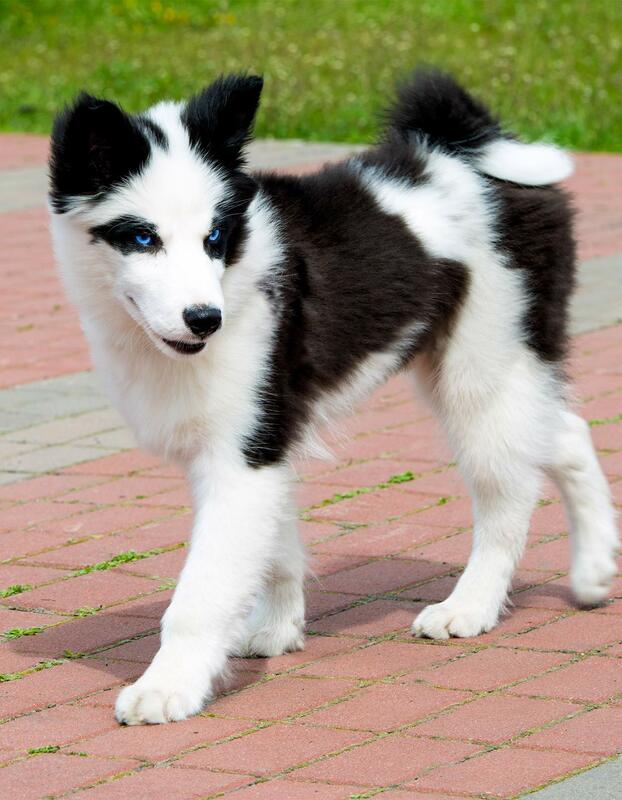 The Yakutian Laika stands 21 to 23 inches tall and weighs 40 to 55 pounds. This dog can live 10 to 12 years. These dogs do shed seasonally. They also might need quite a bit of brushing and grooming to keep their thick coats healthy. Worth noting: These dogs are very bonded to people and will NOT do well if left alone! Health issues can include hip and elbow dysplasia and eye issues. We hope you have enjoyed this virtual journey through the fascinating history of Russian dog breeds! Have you ever cared for or worked alongside one of these Russian dog breeds? McNeil, M., et al, “The Samoyed Down Through History,” The Minuteman Samoyed Club, 2018. Ikonen, P., et al, “History of the Sled Dog,” Hetta Huskies Homeland Kennel and Mushing Safari, 2018. Gureev, A., Ph.D., et al, “Russian Borzoi,” To Discover Russia Project, 2018. Darrow, C., et al, “History of the Black Russian Terrier,” The Black Russian Terrier Club of America, 2018. Bereza, E., et al, “History of the Breed Caucasian Shepherd Dog,” Iz SAMSHEETOVOY USADBY Kennel, 2018. Mitchell, A., et al, “Central Asian Shepherd Dog,” Australian National Kennel Council, 2011. Griffin, M., “History,” American Karelian Bear Dog Alliance, 2011. Cawley, D., et al, “Russian Toy Dog Breed History,” Russian Toy Club of America, 2016. Romanenkova, E., et al, “History of the Tsvetnaya Bolonka Dog Breed,” Tsvetnaya Bolonka Club of America, 2016. Mravik, J., “Eastern European Shepherd – VEO,” Josef Mravik K9 Trainer & Kennel, 2018. Shroeder, A., et al, “Russian Spaniel: History of the Breed,” Russian Spaniel Club, 2003. Baum, P., “Aeroflot’s Canine Corps: Jackal-Dogs Sniffing Out Explosives,” Aviation Security International Magazine, 2011. As a Black Russian Terrier Breeder, I read with delight the information you had on the Black Russian Terrier. With respect to to your last paragraph fo your article “Russian dog breeds: Russian Black Terrier”, I would like you to edit that paragraph to include the condition known as Hyperuricosuria (HUU). For your information here is the write up that appears on our Kennel’s website https://www.izteremkabrtkennel.dog/health-issues-black-russian-terrie.